← What’s on my Dongle? 1. Set up a RIP polling queue using a Job Genie configurable RIP poll. In normal workflows, the RIP driver used will be TIFF Based RIP (User Configurable). 2. Create a Job Genie to poll the jobs. Filenames can be broken down and defined in any desired way however, in the Display tab (5), the Jobname string must be configured to show jobs in the RIPMonitor in the exact filename format as defined in the planning file you will be using with the Bookfilter. then this is the name that particular processed job must have in the QueueManager or BookMonitor will not be able to locate and load the job. If the files output by the RIP are different to those in the planning file, the Job Genie is used to translate the filenames into a form the Bookfilter can match. A publicaion name string is not defined at this stage. 3. Setup the Bookfilter via the Workbench datatypes list. Allocate the Job Genie (if required), the connection method and path. 4. Submit jobs for processing. 5. 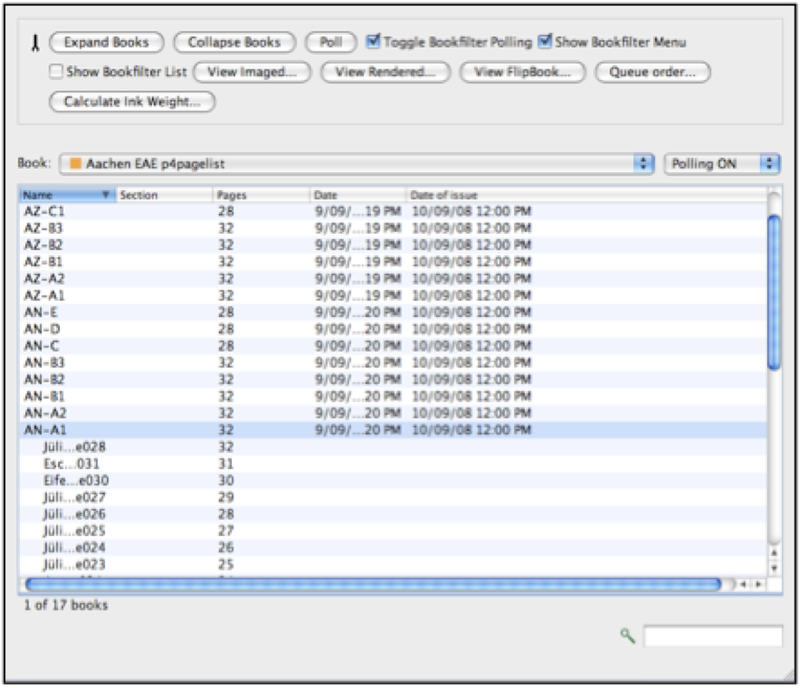 Once processed, jobs may be opened via the BookMonitor application and viewed with SoftProof or FlipBook. This entry was posted in HowTo, Veripress. Bookmark the permalink.